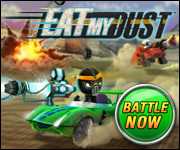 With all the advancements and custom cool features that you’re able to add to your Eat My Dust car, how much do you actually know about the evolution of the automobile from its original inception as a steam powered vehicle in the late 1700s? 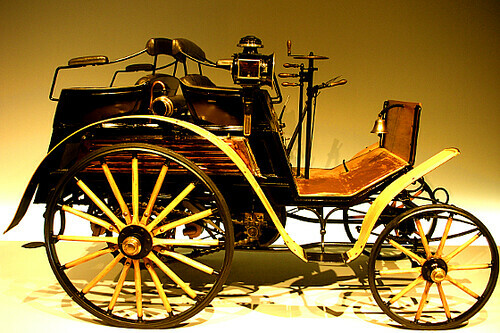 Before you hop behind the wheel and speed on over to the Racing circuit to compete in your next race, take some time to read through this brief history of the earliest automobiles! The modern gas fueled car that you now today did not really make its way onto the scene until the early 1800s with many citing 1886 as the year of the first modern car. It was in this year that two of the major players in the race to create the first car, Karl Friedrich Benz and Gottlieb Daimler filed their patents on their transportation vehicles. Cars did not become mass market items until the early 1900s, as the new industrial era enabled automobile icons like Henry Ford to bring cars from the aristocratic elite to the larger market in the United States. I’ve already known the year: 1903!! Hi Deece, looks like you are one step ahead of us! We are glad that you have been keeping yourself updated with all the automobile history and news, I’m sure you know some other interesting facts. Check back for more exciting game and current news! Thank you for sharing these great facts Deece!